Sand them down. I originally used ultra fine steel wool, but that did not do a great job and took more work then it was worth. The paint chipped right off with this method. So, Bobby got me some Scotchbrite, which was so much quicker and I barely had to apply pressure to rough up the surface. Make sure the hardware is free of dust and lay on a surface you can spray paint. I used a cardboard box. 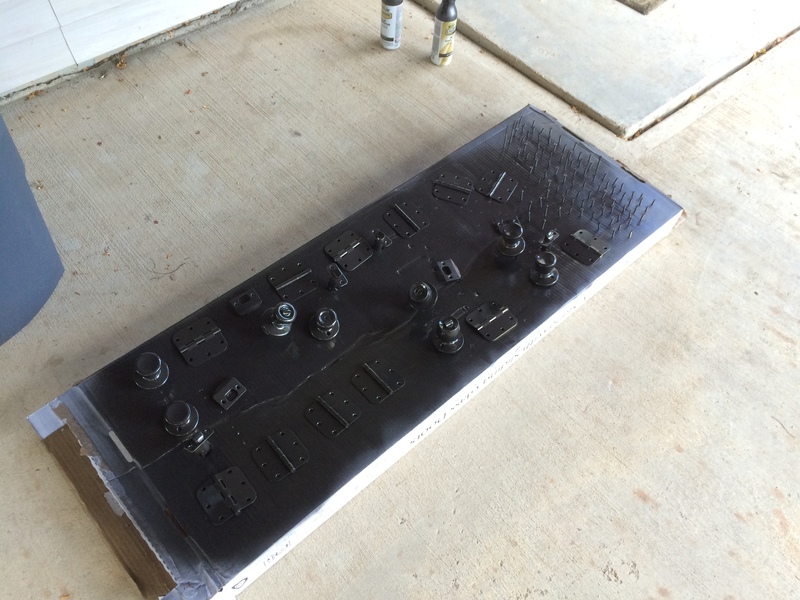 Spray paint the hardware. 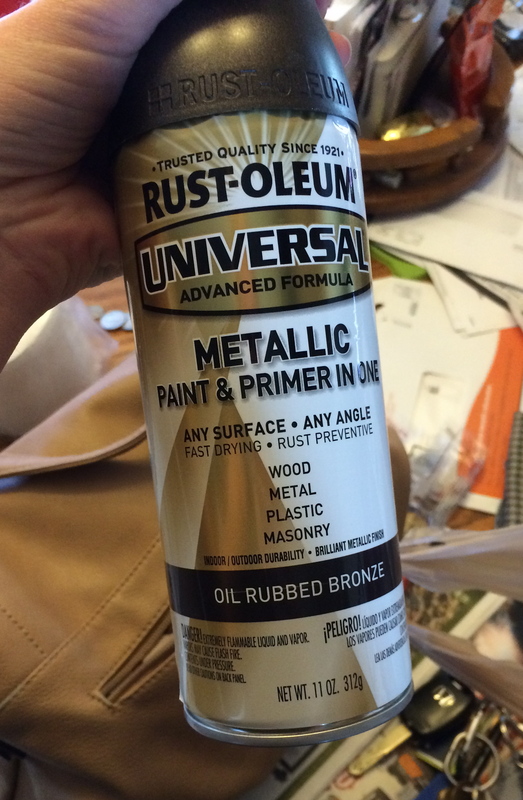 I used Rustoleum Oil Rubbed Bronze with built in Primer. They were $6.97 each and I used about three and a half cans on 10 doors. This was with 2-3 coats. I also coated both sides of the hinges so brass did not show on any side. After the last coat, I let them dry overnight. 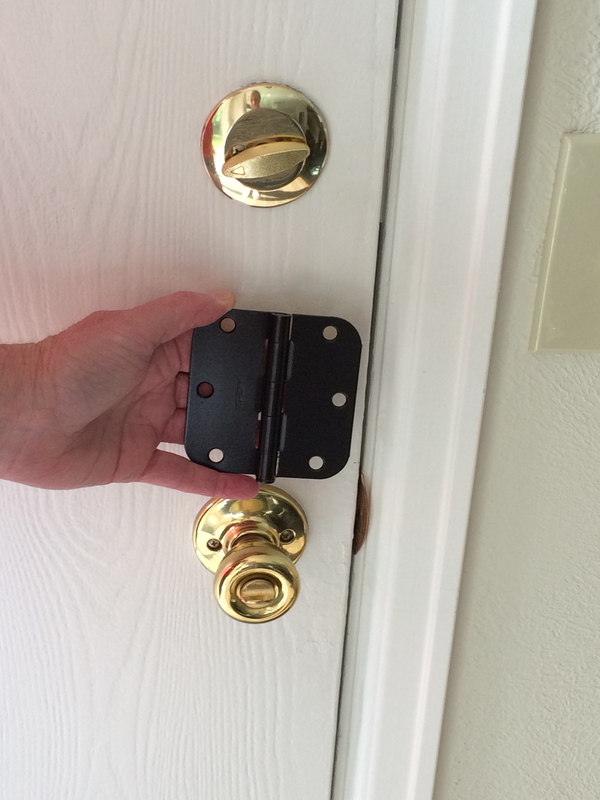 Taking the doors down only took one person, but putting them back up is MUCH easier with two. I was only able to get one door back on by myself. The rest took two people, one holding the door up and another attaching the door. I never got a picture of them in the sunlight but the color is so pretty. 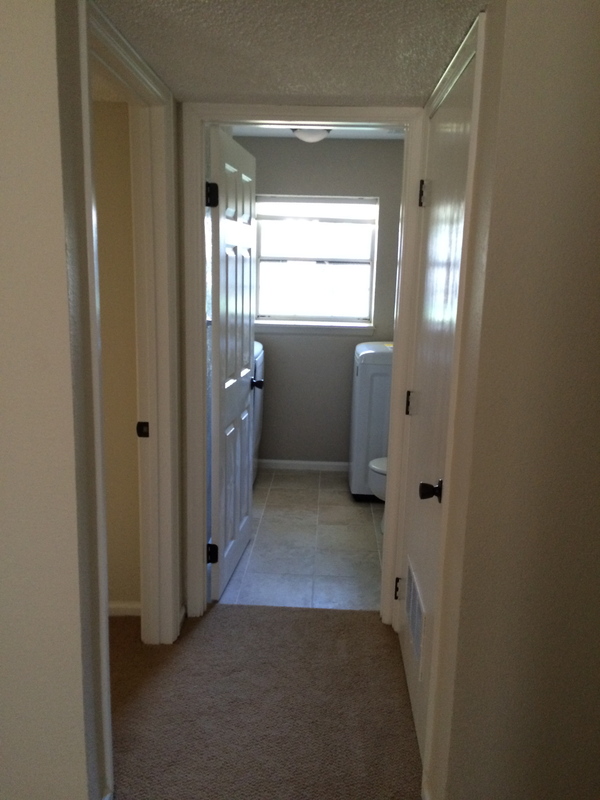 The panaroma makes for weird looking angles, but I wanted to get all the doors in one picture. and after… I love it so much! Have you guys ever ORB’d anything? How did you like it?